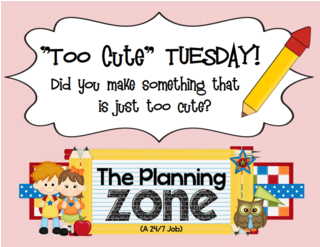 I'm linking up with Heather at Lesson Planning Zone for "Too Cute" Tuesday! Her linky gives bloggers a chance to showcase an item they've made. I'm showcasing my newest item, my Genre Jar. 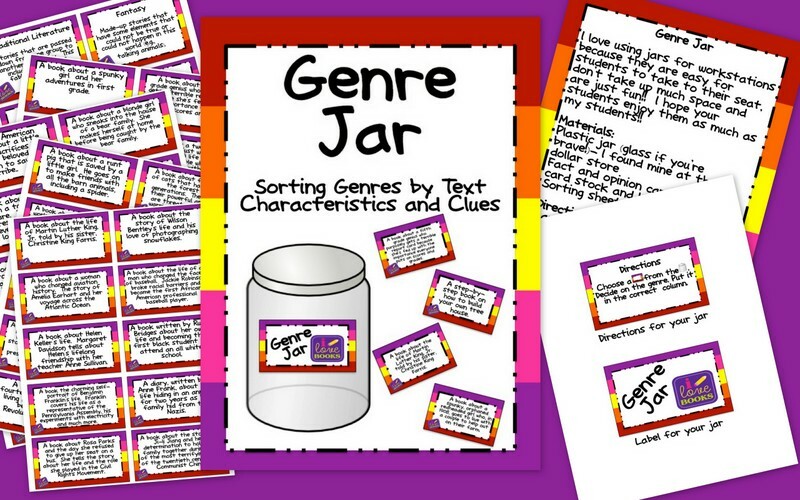 I made this item to help my students with recognizing the different reading genres. 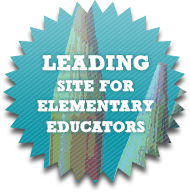 The pack includes header cards for eight different genres (Realistic Fiction, Traditional Literature, Fantasy, Science Fiction, Historical Fiction, Informational, Biography and Autobiography) and 40 cards with text characteristics and clues for each genre. 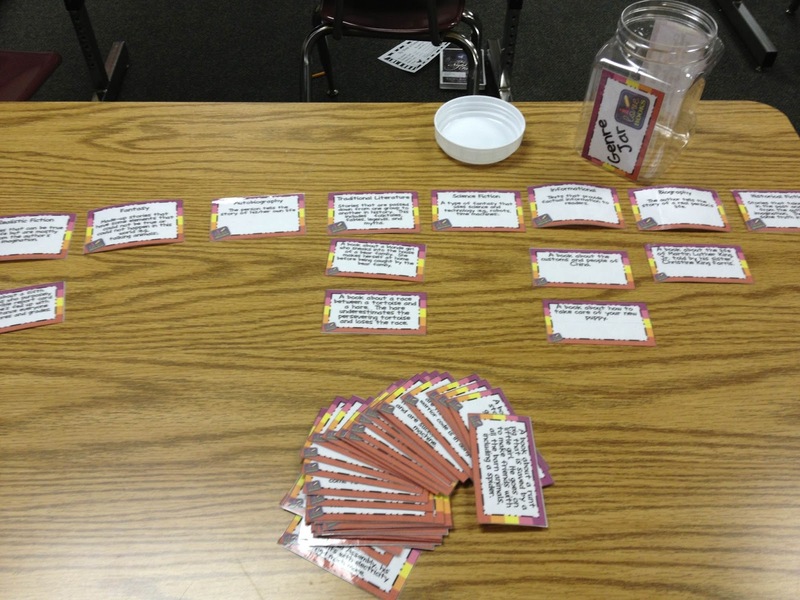 Students sort each card into the correct genre. 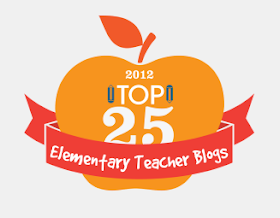 You can take at look at it at my TpT store or TN store. 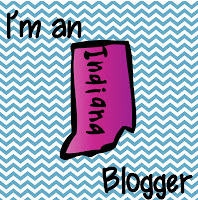 If you have an item that is "Too Cute" head over to Heather's blog to link up!! I bought this product over the weekend (yea me). Thanks for the pic, I wasn't sure what it should look like. Love the idea of using jars for storing activities! More visible than boxes and sturdier than bags. Fantastic.